Please spread the word! 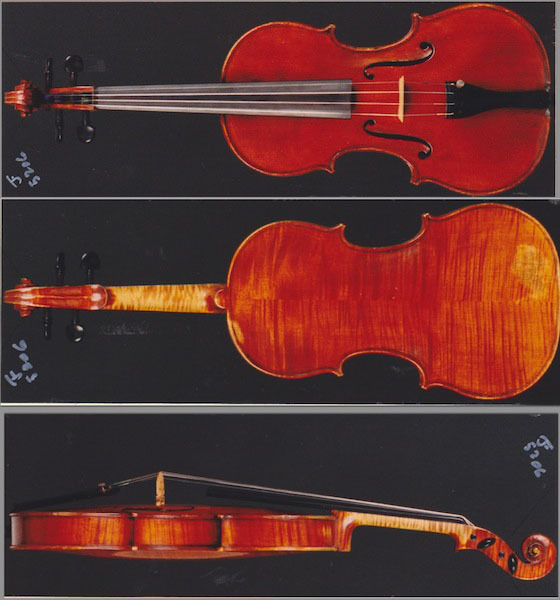 Police are still looking for leads in the disappearance of a 1936 Gaetano Sgarabotto violin and Benoit Rolland bow. The violin and bow, in an oblong blue canvas M.A. Gordge case, were stolen in the early morning April 13 near the Ritz Carlton hotel, in Georgetown, Washington D.C. The instrument is orange-brown, with a two-piece pine top and two-piece flamed maple back. The 1999 octagonal bow has an ebony frog and is inscribed with the serial number 983. If you have any information, you can e-mail Gtownviolin@gmail.com, or call D.C. Police Officer Roberto Corchado at (202) 730-1901 or cell (240) 422-2108.